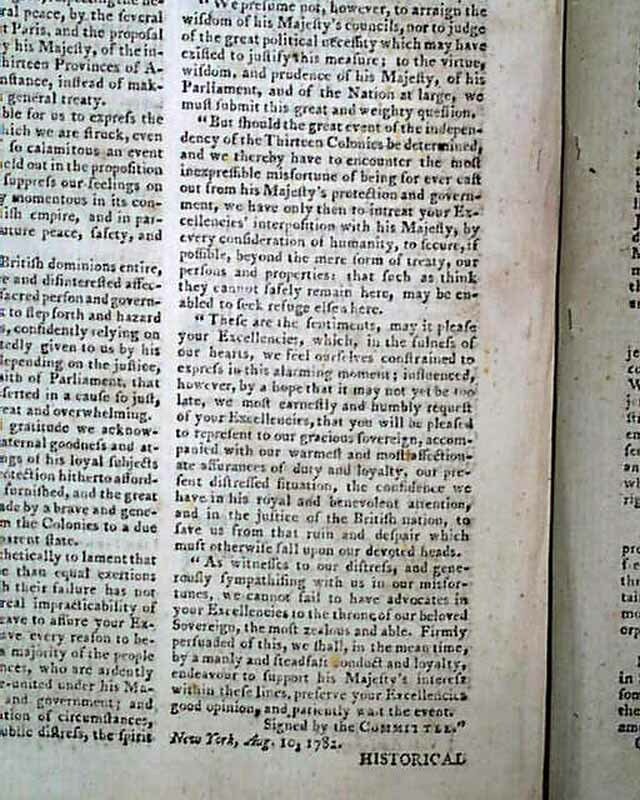 Item # 647205 THE GENTLEMAN'S MAGAZINE, London, November, 1782 Near the beginning are 7 pages of "Summary of Proceedings in the Second Session of the Present Parliament". 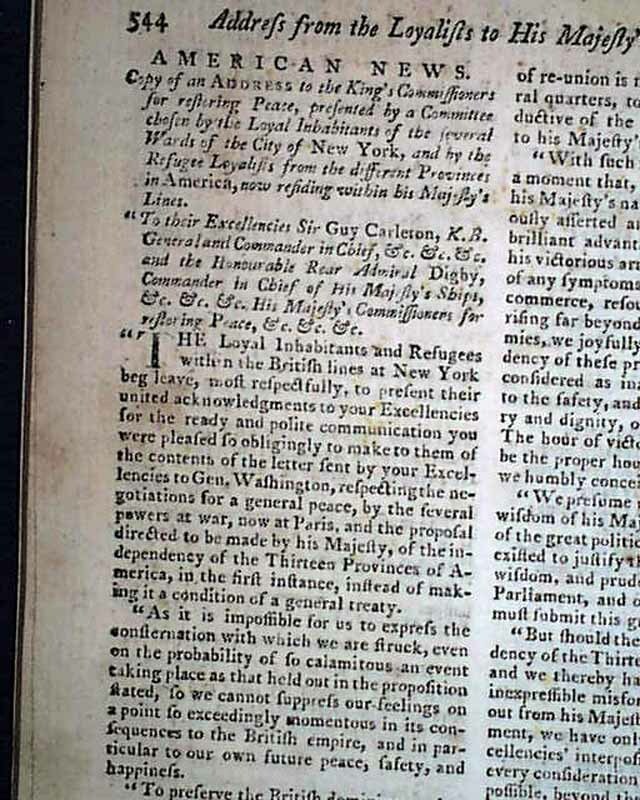 Near the back is a full page headed: "American News" which has a document headed: "Copy of an Address to the King's Commissioners for Restoring Peace, Presented by a Committee Chosen by the Loyal Inhabitants of the Several Wards of the City of New York & by the Refugee Loyalists from the Different Provinces in America now Residing within his Majesty's Lines" (see). 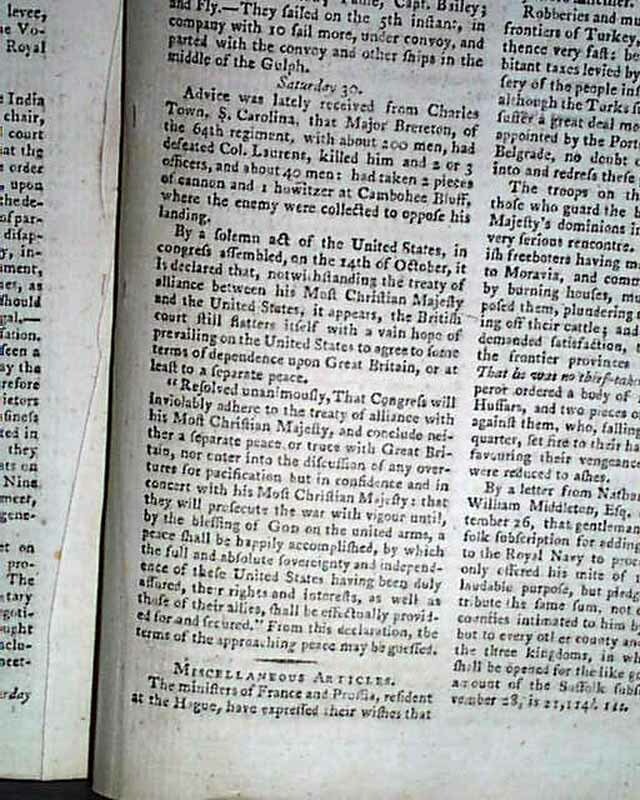 This is followed by the "Historical Chronicle" which has the latest news reports of the day and includes "Mr. Adams, Minister Plenipotentiary from the United States of America to the States General, after having concluded a treaty of amity & commerce between the two republics, took his leave of the President of their H.M.M. 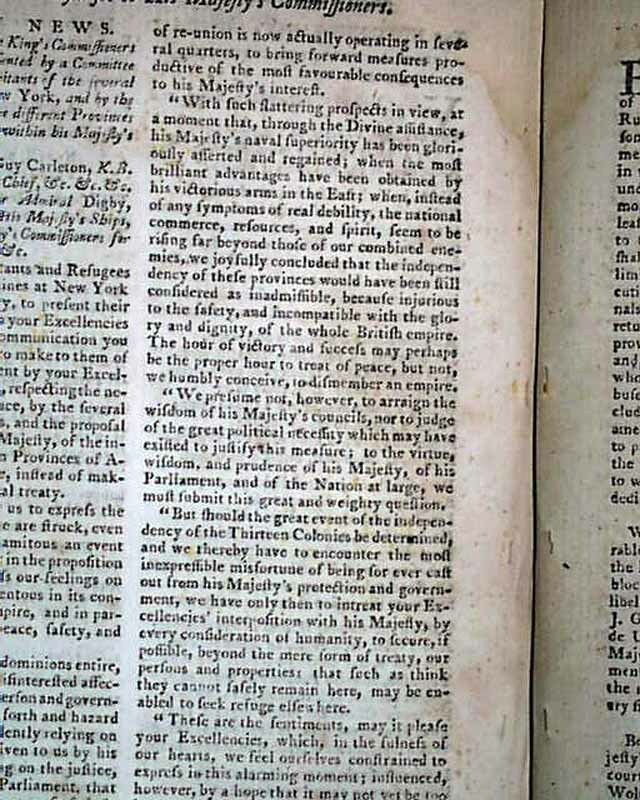 and also of his Serene Highness the Prince Stadtholder & in a few days after set out for France...". 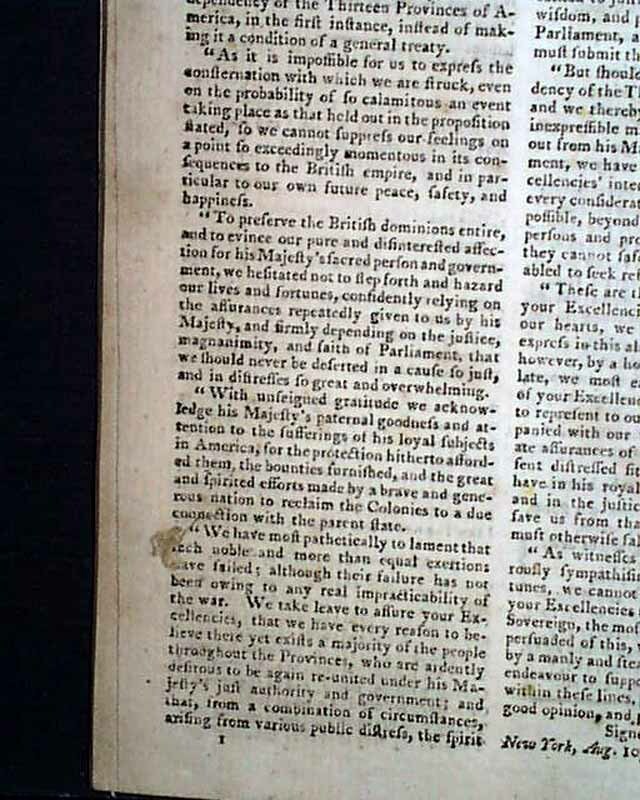 Further on is: "By a solemn act of the United States in Congress assembled...it is declared that, notwithstanding the treaty of alliance between his Most christian Majesty & the United States, it appears the British court still flatters itself with a vain hope of prevailing on the United States to agree to some terms of dependence upon Great Britain, or at least to a separate peace..." with more (see). 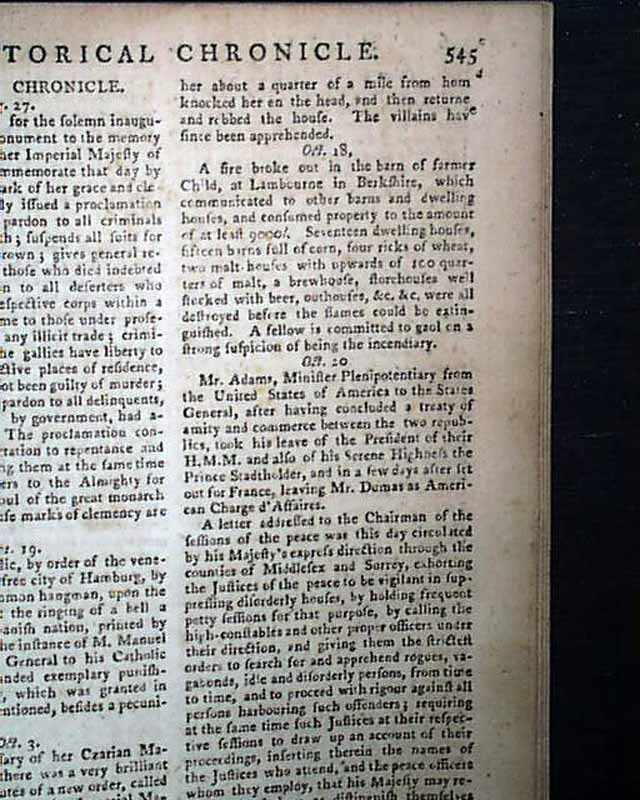 Includes the full page plate called for. 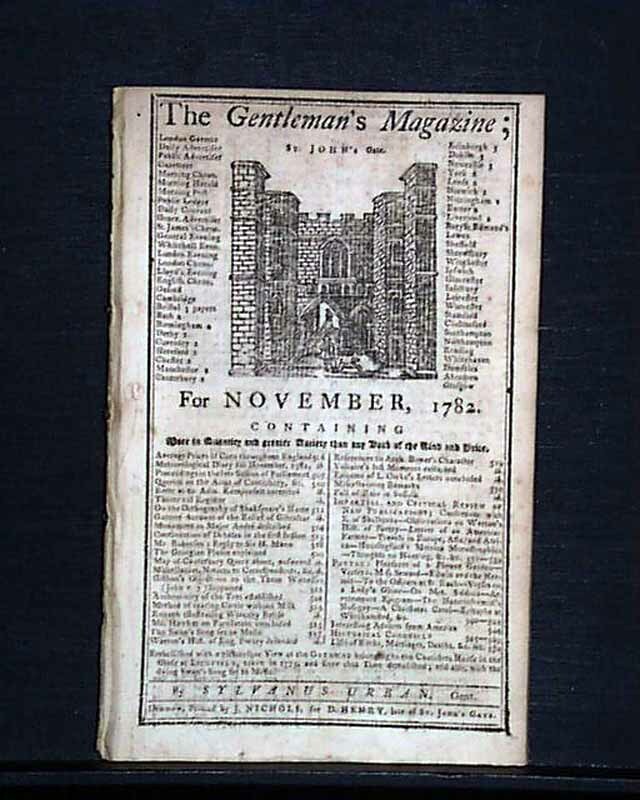 Complete in 48 pages, 5 1/4 by 8 1/4 inches, full title/contents page with an engraving of St. John's Gate, very nice, clean condition.